This installment of Plaidy’s Georgian Saga comes directly after The Third George and begins with the Prince of Wales’ coming-of-age. At seventeen he is still kept under lock and key, the king controlling his life down to the food he is allowed. When given an inch of freedom, young George runs head-first into debauchery, finding–to the King’s horror–friends in the enemy camp, Charles James Fox, Uncle Cumberland, and anyone of the Whig political party. He sets up an actress as his mistress and lives, purposely, a completely opposite lifestyle from the King. Perdita is Mary Robinson’s part in Shakespeare’s play, The Winter’s Tale, in which the King had decided to make a rare appearance with his heir. Young George became bewitched and began his pursuit of the beautiful actress. At this point in the story, George’s personality is fleshed out well, but I was not as taken with Perdita–she is unwise, vain, melodramatic and generally not very likable. There was no expectation that she would hold the Prince’s interest for long and that part of the story becomes a downward spiral as the Prince matures and moves on. Politically, this novel covers many historical characters and describes the enmity between the King’s Tories and the Prince’s Whigs. I found the transparent characterization of Mary Robinson unfortunate (though it worked well for Plaidy’s purpose). 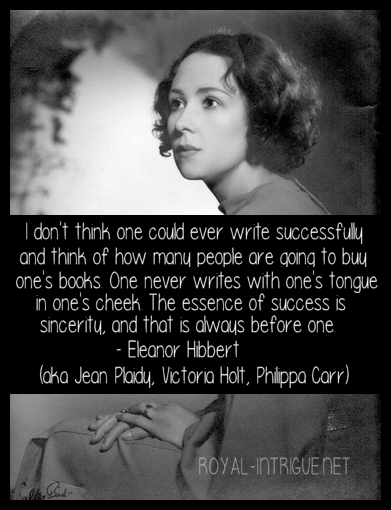 She published plays, novels and poetry, but there is barely a mention of her talents (for a truer literary portrait of her life, I suggest reading All for Love by Amanda Elyot). The Prince, however, is well primed for the next in the saga, Sweet Lass of Richmond Hill, in which he falls for Maria Fitzherbert–a Catholic widow. In finishing this book, I have read 7 of the 11 novels in the Georgian Saga, and I have to admit that this has been my least favorite. I think I was expecting a bit more having read other accounts of Mary Robinson, though I am still impressed with the scope of characters and events placed in the story. Elizabeth Armistead, Elizabeth Sheridan and Anne Horton (Duchess of Cumberland) are excellent background characters and there is mention of other famous personalities of the age, such as the Duchess of Devonshire. 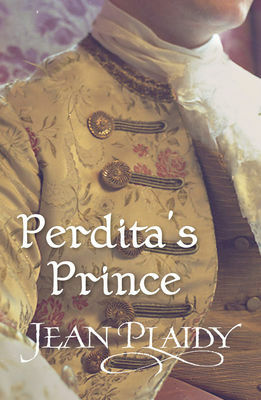 Plaidy’s usual balance of witty dialog and intrigue keep the story moving while delving into history that drives the characters’ personalities–all except Perdita, whom I feel should have had a little more detail on accomplishments and less emphasis on the side that earned her the nickname ‘Propriety Prue’.